Solas Bhride Centre’s design is inspired by the rich setting of the site and by the evocative imagery of St. Brigid’s legacy and legends. 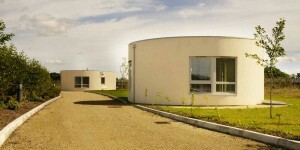 The Centre is a uniquely designed ecological building in the shape of a St. Brigid’s cross with circular and semi-circular rooms nesting in the arms of the cross. Nature is interlaced around and through the building. It has achieved national awards, including Green Building Award 2015. 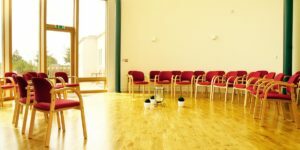 The Solas Bhride Centre is situated in a natural landscape with a meditative garden, labyrinth and proposed cosmic walk. 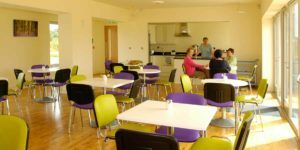 The Centre’s facilities are available for renting to groups that are in keeping with the ethos of the Centre. 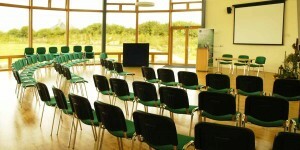 Centre Open to Pilgrims/ Visitors on Saturday and Sunday by appointment.